With no built-in test framework - testing Roku apps can be difficult. Unlike white-box testing tools like Selenium - stb-tester just uses the pixels on the screen to test your app - you test what your users see. This means it works just as well with Roku as other set-top box platforms. 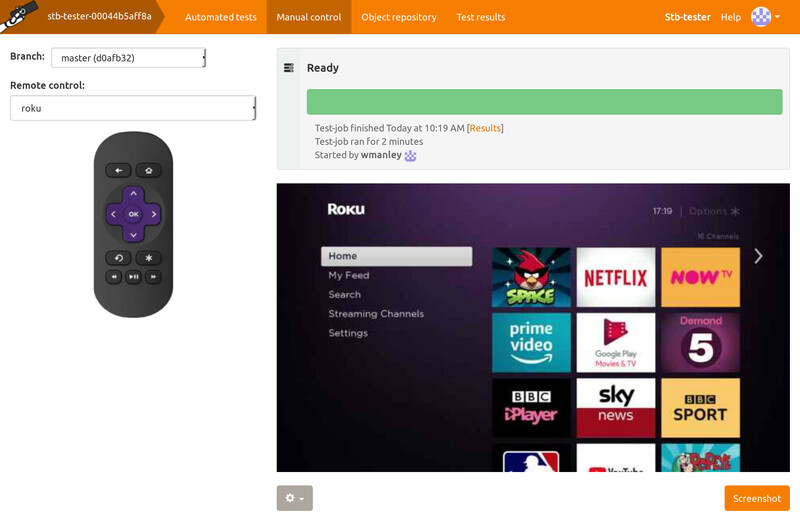 The Stb-tester platform supports all roku models. It works with standard Roku as well as all Roku operator partners. Contact us for a demo at sales@stb-tester.com.